Easy: purple pansies from the Degerloch farmer’s market, little purple pot. To see what other gardeners have put in a vase (or a pot) today, visit Cathy at Rambling in the Garden. 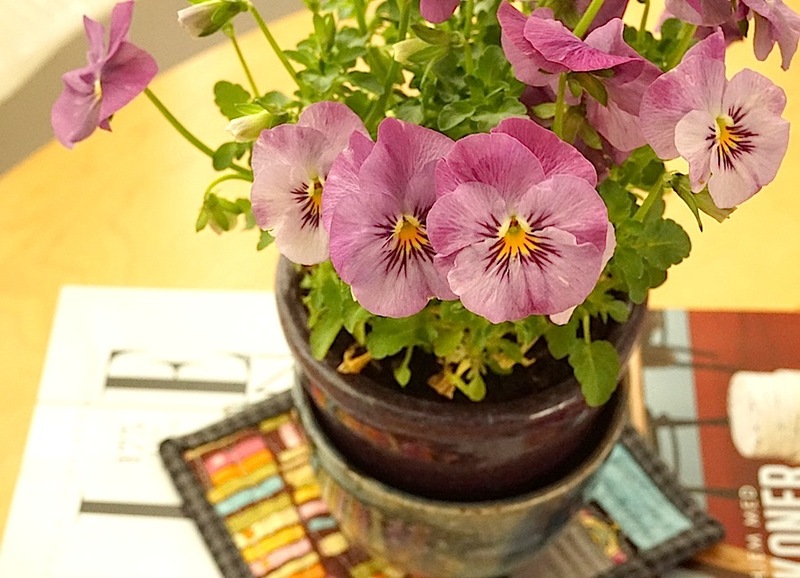 I adore pansies so this was a treat…and am glad I did not plant any early as now we have freezing, frigid temps and 6 inches of snow on my flowers int he garden. Thanks for hosting this meme! 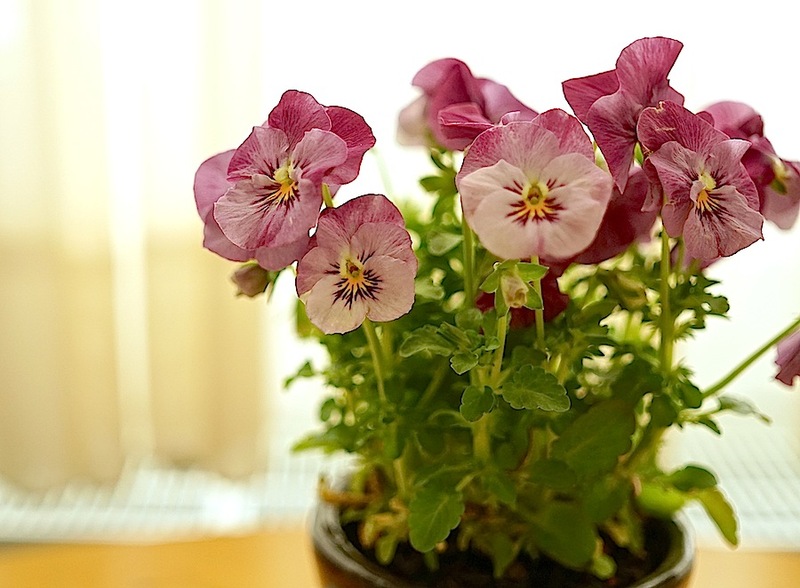 Pansies were my first love in the world of flowers. Seeing them is always a joy! What a beautiful color of pansies! Thanks for sharing the poem too.